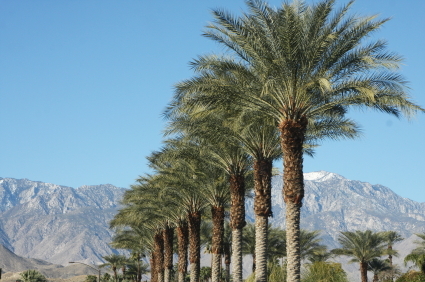 If you need a break or just want a travel spot where you can relax, come to Palm Springs, California. Formerly a destination of Hollywood movie stars, Palm Springs today lures travelers with its natural beauty and leisure activities. At the Palm Springs Air Museum, you can see one of the nation’s largest collections of WWII aircraft. Not only can you check out numerous aircraft vehicles like combat planes, but you can also watch documentaries about military aviation during WWII in the museum’s theater. See what it is like to man an aircraft with a computer flight simulator, and watch the flight demonstrations of aircraft that served in WWII and Korea. There are also exhibits showcasing art and murals that reflect aviation themes as well as many photographs illustrating historic combat. Spanning 15 miles, the Agua Caliente Indian Canyons is a great place to enjoy the area’s natural beauty and outdoor activities. You can explore several hiking and horseback riding trails while viewing the native plants and flowers and catching glimpses of wildlife. You can picnic by trickling streams and take a refreshing dip in the natural pools of waterfalls. Along the Palm Canyon trail, be sure to stop in at the Trading Post where you can check out artifacts and discover a bargain on handcrafted baskets, pottery, jewelry and more. Situated downtown, the Palm Springs Art Museum offers a wonderful collection of works by artists from around the world. If you visit the museum on a Thursday night or the second Sunday of the month, admission is free. The museum also features its Annenburg Theatre where you can be entertained by a variety of musical and theatrical performances. If you enjoy watching birds and other species of wildlife, you should not miss out on a visit to the Coachella Valley Preserve. On this 20,000 acre preserve of sand dunes and palm trees, you are sure to glimpse a number of wildlife species. A must do in Palm Springs is the VillageFest, an old-fashioned street fair where you can indulge in live music, loads of food, and be entertained by lively street performers. You can also browse through the farmer’s market here to find a bargain on goods ranging from fresh produce to handmade crafts and antiques. With the Palm Springs Aerial Tramway, you can enjoy a scenic ride up a mountain in a cable car that rotates so that you can see beautiful views all around. At the top of the mountain, you can explore the area and have dinner in the nearby restaurants. If you are ready to visit Palm Springs in the near future, why not compare hotel prices today and secure a reservation?